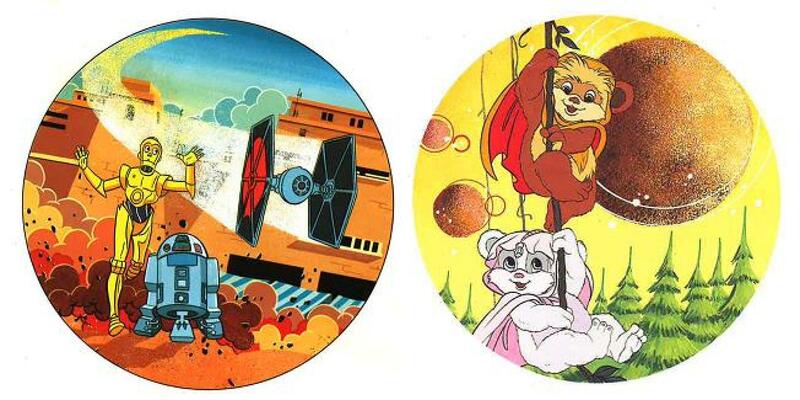 Take a deep dive into the Spanish-language adaptations of Star Wars' classic '80s cartoons. As the new animated series Star Wars Rebels takes its opening salvo at televisions, tablets, and smartphones, so do several new spinoff books take aim at readers, including the first companion novelization The Rebellion Begins by Michael Kogge. In that vein, this milestone seems perfect for paying homage to a pair of extraordinary forefathers. In the mid-1980s, after one successful made-for-television Ewoks movie — and one notorious “holiday special” — the Star Wars universe plunged into its first regular television programming: Ewoks and Droids (sometimes billed as the Ewoks and Droids Adventure Hour). 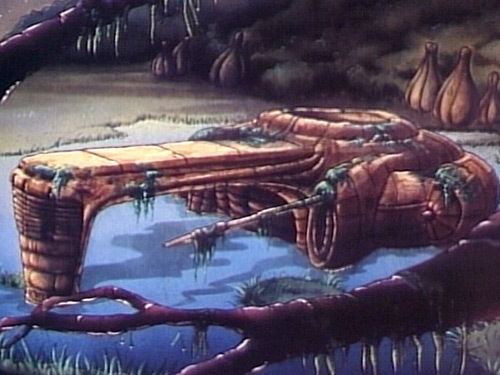 These animated series ran from 1985 to 1986, with Droids airing for one season and Ewoks for two. Many English-speaking fans know that these cartoons also spun off many storybooks and comics of their own, chiefly published by Random House and Marvel Comics. What many fans do not know is that they also spun off original licensed storybooks and comics in other countries, never published in the English-speaking world. In 2013, Rich Handley reported for StarWars.com on several Ewoks and Droids comics that were published exclusively in Spain (and subsequently translated into English by myself). Now, new investigative (and very fun) research shows that this particular rabbit hole goes much deeper. 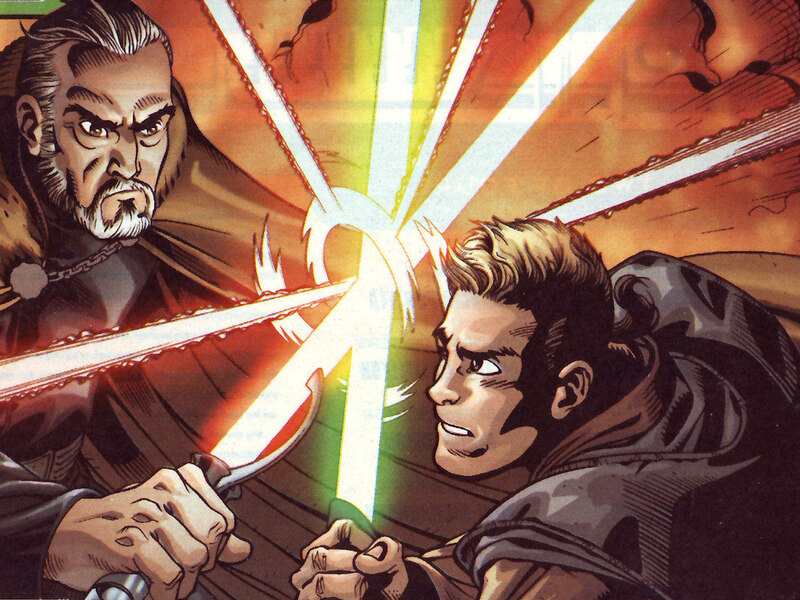 Knowledge of two exclusive Star Wars novelizations published in Spain has surfaced. Simply titled Ewoks and Droids, these 45-page hardcover picture books, measuring 23 cm x 29.5 cm x 1 cm (9” x 11.5” x .33”), were published in 1986 by Plaza Joven, which was an imprint of the well-known Spanish publisher Plaza & Janés Editores (now owned by Penguin Random House). As is frequently the case with picture books aimed at younger readers, the authors of these Star Wars titles are unlisted, and they remain unknown. While that is quite unfortunate, the content of the books offers a treasure trove of entertainment, nostalgia, and secrets for Star Wars fans. If you happen to speak Spanish, that is. But now, these storybooks are presented here for the first time in English translation via StarWars.com. Each book is a loose novelization covering general events of the Ewoks and Droids television series, though predominantly focusing on one episode. This reiterative storytelling doesn’t mean there aren’t more than a few surprises, however. As most novelizations conventionally tend to be (such as the prose adaptations of the Star Wars films Episodes I-VI and The Clone Wars), these storybooks are more than likely adapted from scripts rather than the televised Ewoks and Droids episodes themselves. In that tradition, these Plaza Joven storybooks introduce more scenes and background details than the cartoon storylines—and at times completely alternative particulars. But it’s one of the strange facts of converting a narrative from one language to another that it’s not only true, as the saying goes, that meanings are frequently lost in translation, but sometimes new ones are also gained. The plot of the Droids novelization is very simple. After being dumped on the inhospitable planet Ingo by a disreputable owner, See-Threepio and Artoo-Detoo reminisce about their exploits with their past masters Jann Tosh and Mungo Baobab before getting swept up in the adventure that makes up the main substance of the book: joining the racing team of their new masters Thall and Jord while sabotaging the plans of the upstart gangster Tig Fromm. 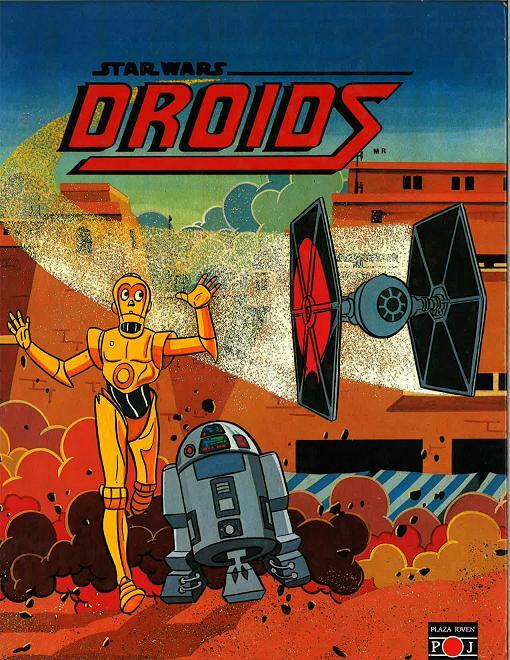 The artwork on the cover of Plaza Joven’s Droids novelization (1986). At this point, longtime fans of the Droids series may be saying to themselves, “Hold on just a minute. 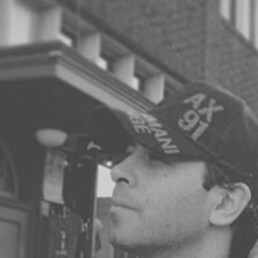 That’s not how it goes.” And that assertion comes with some justification. Just like this Spanish storybook, when we first meet Threepio and Artoo in the television series, the galaxy’s most famous pair of synthetic beings is indeed stranded on Ingo, where they encounter the speed fanatics Thall and Jord. But unlike this storybook, it isn’t until much later episodes that we are introduced to the droids’ adventures with the aspiring pilot Jann Tosh and the intrepid treasure hunter Mungo Baobab. For decades, it has been assumed that that the proper chronology of these events was the linear one implied by the order in which the episodes first aired. However, Padmé’s ironic quip to Qui-Gon Jinn in The Phantom Menace may be appropriate here: “You assume too much.” After all, for an argument in favor of the alternative chronological sequence sketched by this Droids novelization, one need look no further than a recent popular television program — Star Wars: The Clone Wars. This animated series was marked by a blatant nonlinear chronology, with episodes airing in an order often completely out of sync with the actual intended sequence of events. 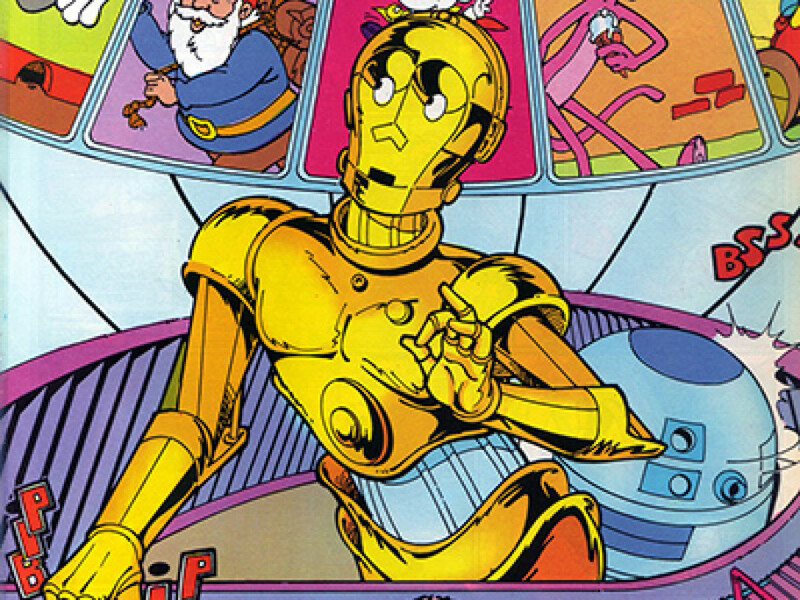 It isn’t difficult to imagine analogous anachronisms relating to the valid ordering of the events depicted in the Droids animated series — such as the structure presented in this Plaza Joven storybook. But this intriguing observation is merely skin deep. Let’s get to some real meat. It’s often the case in novelizations that information included in the scripts upon which they are based makes it into their book adaptations but is omitted from the final versions of the corresponding television episode or film. 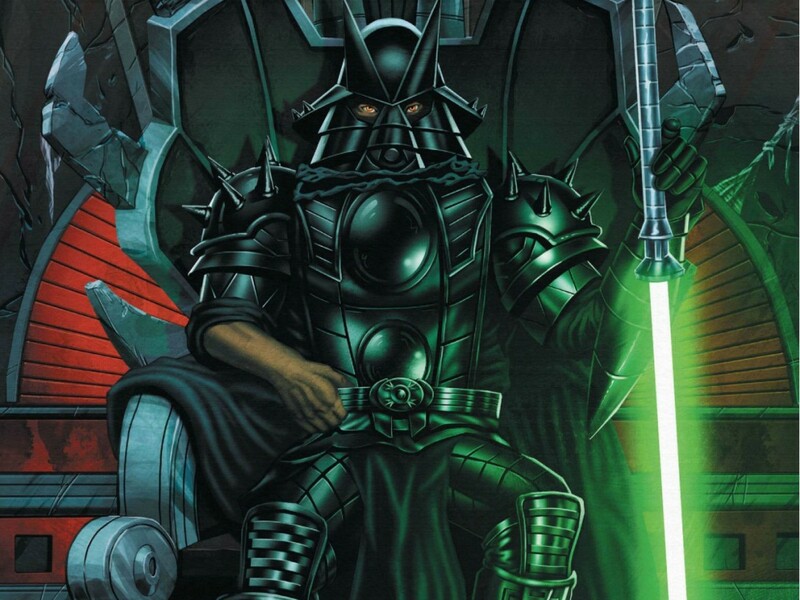 This lore can be in the form of background details — such as when Darth Vader was revealed as an “awesome, seven-foot-tall Dark Lord of the Sith” way back in the original screenplay for A New Hope (and consequently described in the 1976 novelization), long before the term “Sith” became a household word in 1999 thanks to The Phantom Menace. 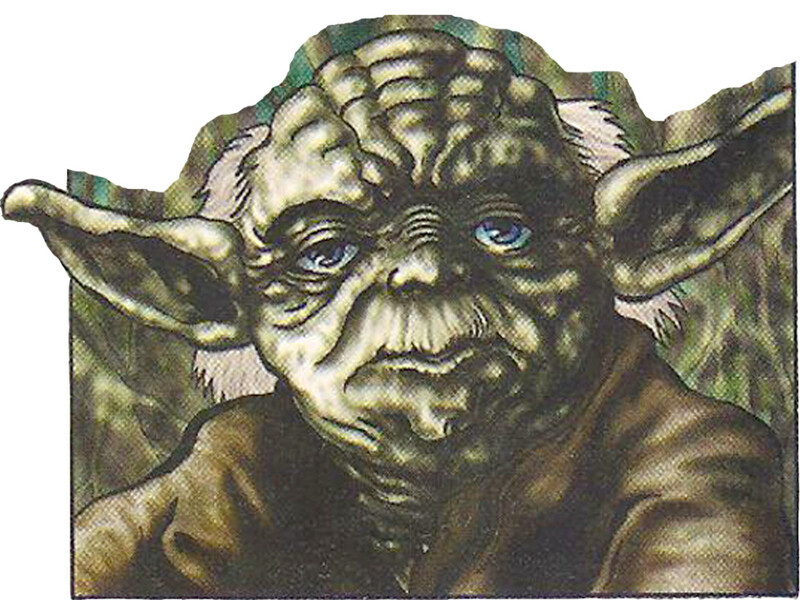 Or these lacunae can also take the form of entire sequences — such as the infamous cut scenes of Han Solo and “Jabba the Hut [sic]” meeting at Docking Bay 94 (which appeared in a number of the early adaptations of A New Hope) or Yoda’s revelation that it was the little green Jedi himself who coerced Obi-Wan not to tell Luke that Vader was his father (as first divulged in James Kahn’s 1983 novelization of Return of the Jedi). A case such as these may be that of poor Sonko. In Plaza Joven’s Droids storybook, the dapper thug Vlix recalls to himself the story of an upper-echelon gangster, named Sonko, as an example of his boss Sise Fromm’s ruthlessness. Sise’s longtime right-hand man, Sonko was entrusted with robbing a transport carrying a cargo of immense value. With a cunning ruse, he seemed to pull off the job and get away scot-free after dispatching the victimized transport’s crew. But in his haste, Sonko failed to realize that the transport’s cameras had recorded the entire heist. The authorities recovered the evidence and incarcerated him on a planet called Umax. But it wasn’t long before the crimelord Sise learned of Sonko’s fate and ordered an attack on the prison to free his trusted ally. Then, to reward his lieutenant’s incompetence, Sise locked him away in his own palace’s deepest dungeon…from which, it is said, Sonko’s suffering lamentations can still be heard. This dark tale of space-mafia justice never appeared in any of the episodes of the Droids animated series — but it may have had its source in the original teleplays. Or it may very well have been invented wholesale by the unknown author of the Plaza Joven Droids storybook. Such imaginative addenda are not uncommon in novelizations. One of the most cherished of these is a scene in the Return of the Jedi novelization, in which the feisty Wicket convinces the Ewok village elders to join the Rebellion’s cause with a stirring speech that appeals to pride, spirituality and honor. And speaking of Ewoks, let’s explore some of the treasures — or trash talk, as it were — from that novelization. The structure of the Plaza Joven Ewoks storybook is similar to that of its Droids counterpart, albeit without the overt reshuffling of chronological events introduced by the latter. The book of course focuses on the small bear-like Ewoks of Endor as well as their perennial arch nemeses the Duloks — the green, gangly, crude, and dirty cousins of the Ewoks. The meandering narrative begins by introducing the Ewok village and its noble inhabitants before recounting the disappearance (and recovery) of the tribal leader Chief Chirpa’s eldest daughter Asha as well as the quest of the young Wicket and his brothers to obtain rare ingredients to administer a cure to their ailing father. 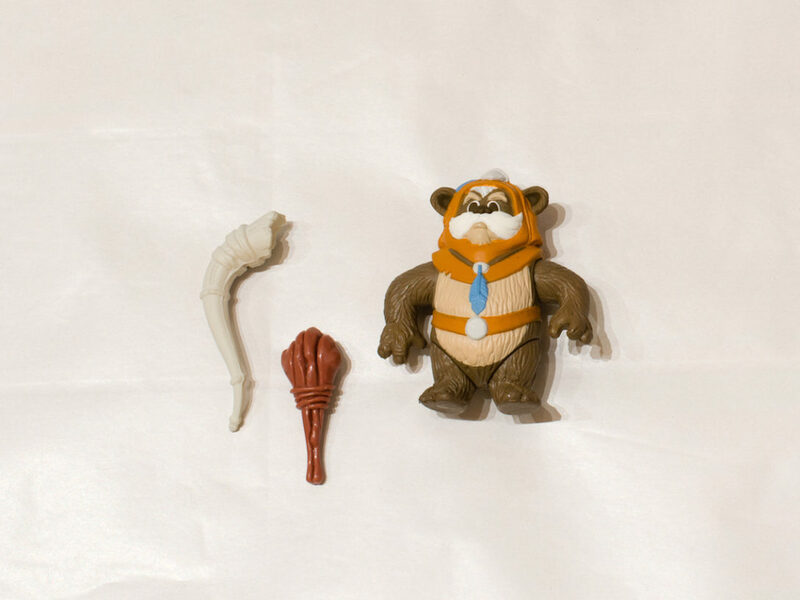 At this point the bulk of the story commences, in which the Ewok Latara naïvely steals away with a band of wandering entertainers, the Travelling Jindas, in order to showcase her flute-playing skills. What she does not know is that the Duloks intend to capture and force her into a life of perpetual servitude and unimaginable horror…babysitting Dulok younglings. 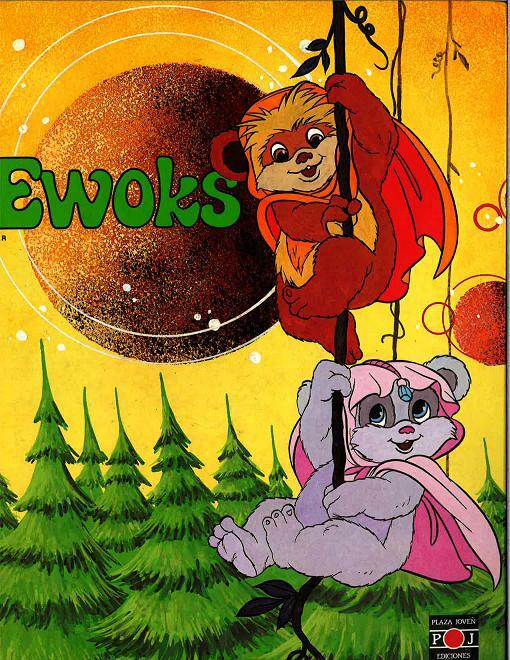 The artwork on the cover of Plaza Joven’s Ewoks storybook (1986). And the reader finds throughout the novelization that, at almost every opportunity, the foul-mouthed Duloks lambaste one another with botanically based slurs. Tarugos! Calabaza! Cabezas de árbol! One of the strangest phenomena of translation would seem, on the surface, to be something very simple: what things are called. Yet, it happens to be the case that when familiar proper nouns are translated from English to Spanish in the Plaza Joven novelizations, many times the spellings of the names are changed. “Kea Moll,” for instance, becomes “Ca Mol”; “Sise Fromm” becomes “Sais From”; “Gorneesh” delicately mutates into “Gornés” and his wife “Urgah” to “Urga.” These changes seem easy enough to understand, based in a desire to tailor a foreign-sounding name to the familiar phonetics of a Spanish-speaking readership. By comparison, more intriguing are the modifications of the droids’ names. “Threepio” becomes “Trespeó” while “Artoo” becomes “Erredós.” These seem like very significant alterations not just in spelling but pronunciation. But, in fact, these conversions are logical to a fault. The droids’ nicknames, after all, are drawn from their alphanumerical designations: “Threepio” is just a written form of “3PO,” while “Artoo” is simply “R2.” In Spanish, these numbers and letters obviously still exist but, just as obviously, they are also pronounced differently. Thus, the droids’ names have only been rewritten in a form corresponding to the enunciation of those letters and numbers in español: “Tres-Pe-O” (3-P-O) and “Erre-Dos” (R-2). However, some morpheme metamorphoses are more perplexing. At best, one may speculate that the unknown author of the Plaza Joven Ewoks picture book dropped both the “t” and “h” in “Tulgah” and then presumably scrambled up the letters to form a new designation for Morag. But in light of the aforementioned considerations, this seems egregious if not outright unlikely. By contrast, it’s not impossible that the scripts from which this story was adapted originally identified Morag as a “Gulah witch” before some change occurred when the voice actors were recorded. A third, and equally likely possibility, is that perhaps the author just felt like making up something new. At any rate, this abnormality has been preserved in translation. The “Gulas” may be a sub-sect of witches among the Tulgah (which is the name of the shriveled species to which Morag belongs), much like the Nightsisters are a specific kind of Dathomiri witch. 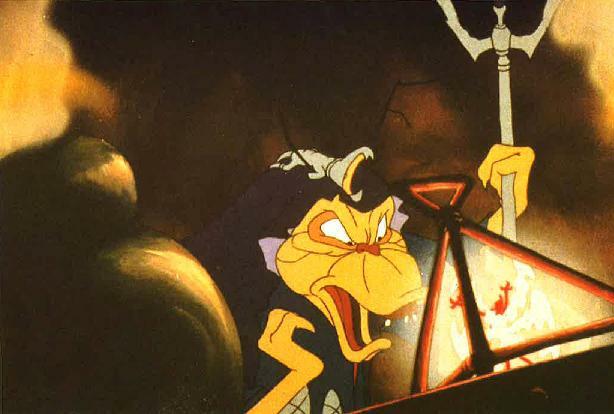 Who knows: The Gulas may be a class of evil sorceresses who, like Palpatine, are gluttons for unlimited power. Let the fan speculation begin. Come back later this week for part two!